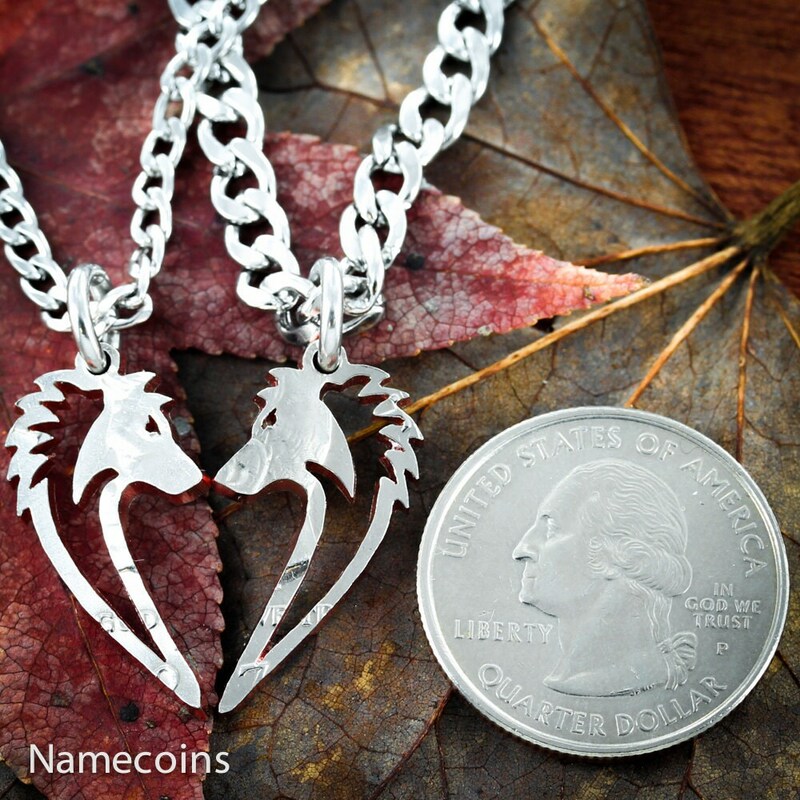 These wolf necklaces make a heart when together and are very cool apart. All of our work is cut by hand with perfection in view. 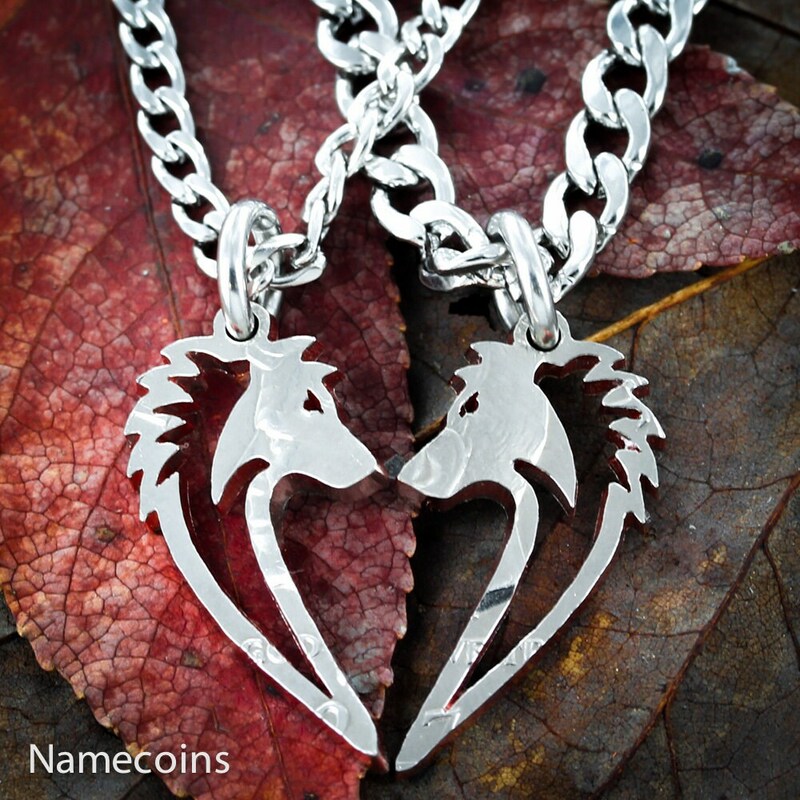 Our Relationship jewelry is very unique and customizable.